Cloned from Rohan NE 04 by Frodo7, Rohan NE 01 by Frodo7, Rohan by Frodo7. Letters with dual perspective. Logotype. Info: Created on 6th December 2013 . Last edited on 5th January 2014. This is a work in progress. I'm still not sure about the Q,T,4. Naturally, the letters should be much closer to each other, in this case with no gaps in between. However, this would cause huge problems for kerning. The only true solution would be the generation of large number of kerning pairs, and if that is not good enough, a large number of ligatures. Interesting and well executed concept, my eye keeps switching from the one perspective to the other and back. I can see your issue with kerning when trying to let the letters touch and you would probably need to take it into OpenType software to achieve that. They do work well as they are though! Interesting style. I think the last T is the best, and 4 could be like H without the bottom left area. Congratulations! FontStruct Staff have deemed your FontStruction worthy of special mention. “Elendil” is now a Top Pick. A wonderful effect - the letters flip-flop between negative and positive 3D. @meek: Thank you very much for the special mention. It amazes me how can you manage to take time and check for new fonts regularly. I guess, you must be busy working on the new version of FS. Perhaps, preparing for the post-flash era. @p2pnut: Thank you for your comment. Yes, it is the flip-flop, as our mind keep switching between the two perspectives. This work is a natural extension of the Rohan family. It only took a bit long to find the right formula, without overkill. The demo sample should have been something better, something positive, e.g. 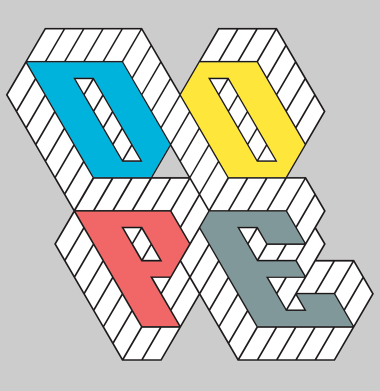 HOPE, TYPE or NO DOPE. Congrats for the well deserved TP! You'll can try to "overload" or "superimpose" (= put the end of one glyph over the begining of the next one, eliminating the space between they, I don't know the right word in english) the letters like the sample seems, it will be great, IMHO. Great! I was tying to make one like this.. I just registered... You made my day! Ele diz que não solicitar o acesso download. Se esta é uma má tradução, por favor, note que eu usei o Google Translate. Eu tive que corrigir então aqui está a correção. Se diz não solicitar o acesso download. Se esta é uma má tradução, por favor, observe que eu usei o Google Translate.